Understand how to foster a better culture to improve productivity? 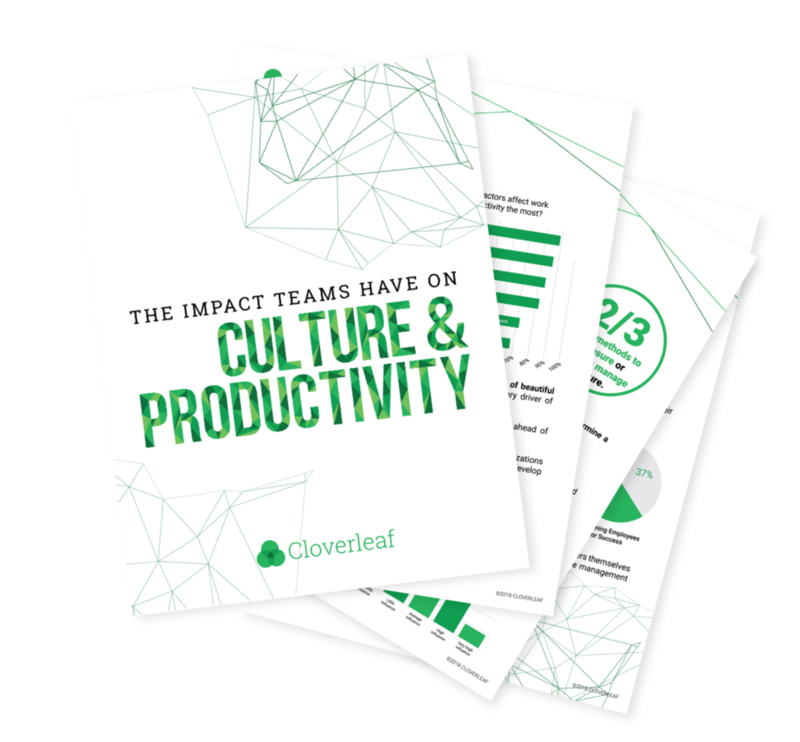 Culture and productivity are positively correlated. Companies intuitively understand this but they go about “fostering culture” in the wrong way. Turns out, ping-pong tables and kegerators don’t make the culture. However, improving relationships between managers and members of their team, and among team members, do. The problem is, we lack the tools to properly measure relationships. This happens to be one of the primary complaints among managers. We've compiled some of our research into a culture guide that can help you bridge the gap between your reality today and your desired place tomorrow. We've sent a download link to the email address provided. You'll also receive an update when we launch our next Cloverleaf.me research project.